Epic fat guy chin-ups. 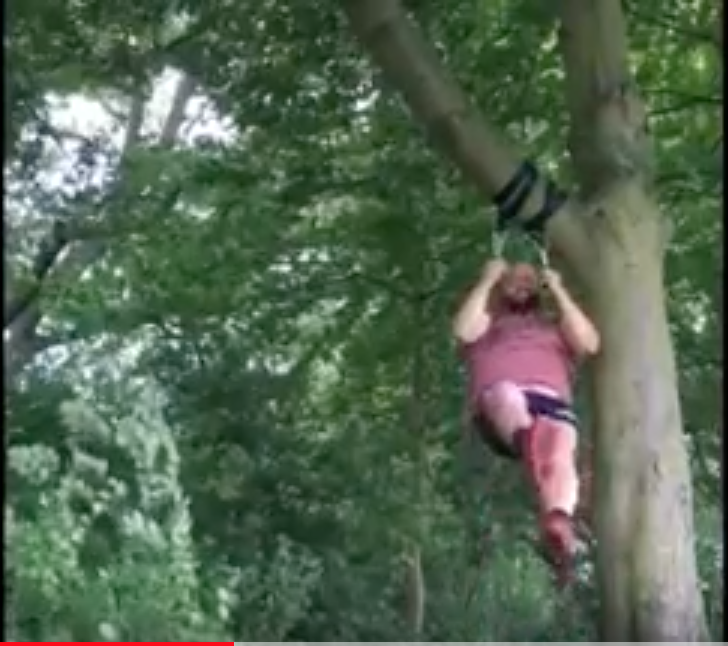 Using grenade/ball grip implements, tied to a very brave tree. Shout out to McDonalds.